Paper flowers can be made easily at home with paper punches or even without them! 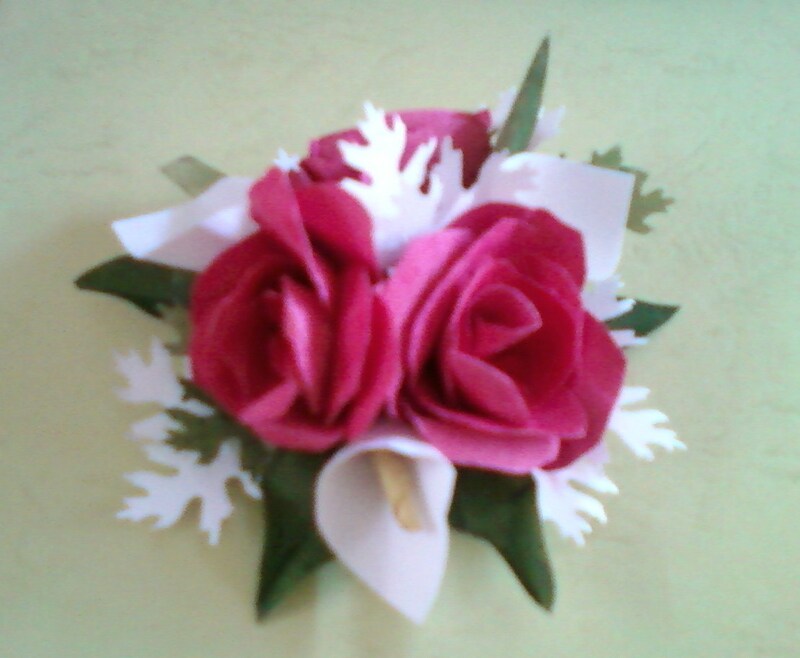 I have made the roses and large green leaves using scissors. The finely cut white leaves are of course punched. There are plenty of tutorials about making paper flowers, I am still learning so have a long way to go before I write a proper tutorial. But this is what I have learnt till now with good results. The basic petal shape of most flowers is a tear drop , one can draw and cut out the shape from a piece of paper folded multiple times and make several petals at one go.Stick them in a circle and a flower is done. The centre can be made with a 3D silver/gold. The cala lily is nothing but a heart shape folded over with the tip pointing upwards. Put in a rolled piece of yellow paper for stamen and its ready! A leaf is also a tear drop like a petal and quite easy to draw and cut. All the flowers and leaves have been made with A4 paper used for the Printer, I had to color it as necessity is the mother of invention and I have to be really creative with my limited art supplies! Wonderful Flowers. Wonderful Leaves. wonderful Colours. Simply wonderful work.